So if you’ve known me for any length of time, you probably know what I like when it comes to food. For those of you that don’t know, bacon and coffee are the top items on my “must intake” list. You know the question about what you’d want if you were stranded on an island? My answer: give me bacon and coffee. And I’m good. I love candy. I love breakfast cereal. I love waffles with syrup. Anything that adds sugar to it, I’ll take it. I’m surprised my wife hasn’t tried adding sugar to artichokes yet, cause if she did, I’d probably down them (shh… don’t tell her). We switched to this type of eating after having gone around the lose-it / gain-it mountain for 8+ years. 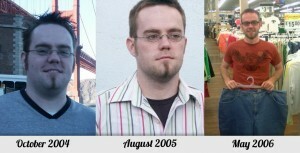 Back in 2004 I lost 70 lbs and for the most part I’ve kept the majority of it off. However, I did so having to consistently diet for a season every year in order to maintain. I was tired of doing that, so we came up with our own version of the low-carb / Paleo diet and it has been great. The poundage has stayed off for me and I’ve felt great. Part of our plan, once a week we would allow ourselves a splurge meal (this is the part that probably makes die-hard Paleo people grimace and judge me). You need to live every once and a while, right? But unfortunately those splurge meals would often turn into splurge days. And those splurge days were filled with much refined sugars and carbs. My tastebuds were rejoicing with great joy. But the rest of my body, not so much. Come the next day, I’d pay for it. Often I would be nauseous for days, have no energy and I would find my emotions being drastically affected. It would last for a couple of days and then lift. I finally picked up on the emotional part of things about 6 months ago. I was quite skeptical that sugar or carbs would do that to me, so I began testing myself. I would purposefully eat refined sugars and carbs just to see how I’d be the next couple of days. Sure enough, it would affect me. After repeatedly seeing the same results from eating sugar, my wife and I were convinced. For me, it has to go. Sugar has gotten a bad wrap lately. Movies like Fed Up and That Sugar Film have really shined a light on the subject, and I’m grateful that they have. I’ll spare you all the facts and such (I’d encourage you to watch those movies), but one thing that stands out is 80% of the food in our grocery stores has added sugar. 80%. That’s crazy! While sugar in and of itself is not evil or sinful, if you’re like me, it can be an addicting… which makes it a problem. Seriously. I don’t use that label to excuse myself or anyone else. Rather, I do so to call it for what it is: something that can become compulsive and interfere with life. So… for the next 31 days, I’m kissing sugar goodbye. My plan is to eat foods that have no added sugars, including artificial sweeteners, or even natural ones, such as honey, maple syrup or stevia. I want to see how my body and mind reacts, as well as hopefully come out the other side living free from the stuff. So here’s to October 2015 being sugar free. Let’s see how it goes.